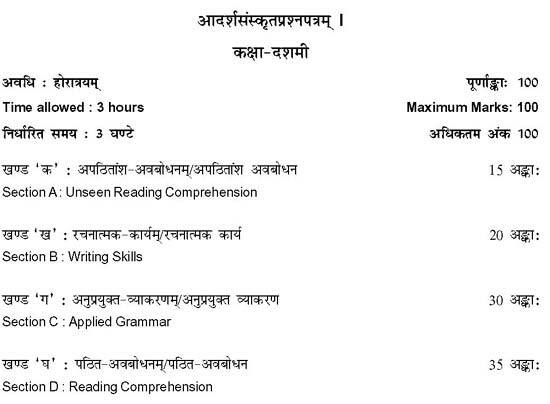 Latest CBSE Clas X (10th) Sanskrit Sample Exam Papers Year Of 2008.Browse Latest Year 2008 Sanskrit Sample And Guess Papers For Cbse Class 10th.DESIGN OF QUESTION PAPER SAMPLE QUESTION PAPER X - Sanskrit. for students online. All these are just samples for prepration for exams only. These are not actual papers.